The easiest raw carrot soup EVER! Halloween is fast approaching, Autumn leaves are falling and this is the time of year that I get totally obsessed with all things orange. I have squashes, pumpkins and carrots coming out of my ears right now, and cannot wait to make my first pumpkin pie of the season! But today I want to focus on carrots. Carrots are amazing as sides; roasted, steamed and sauteed. They bring a little earthiness when added to soups and stews, add a sweet crunch to salads and are the perfect dipping tool to have with hummus. But this cheap and easily available vegetable deserves a little more attention. It can be an amazing centrepiece in it's own right, and this raw soup showcases it perfectly. Raw soups might be on the bottom of your list of things to eat when Winter is fast approaching, but, this carrot soup is just the ticket! Root vegetables are naturally sweet and warming foods, and if you blend this soup for long enough in a high speed blender, it comes out warm and steaming! 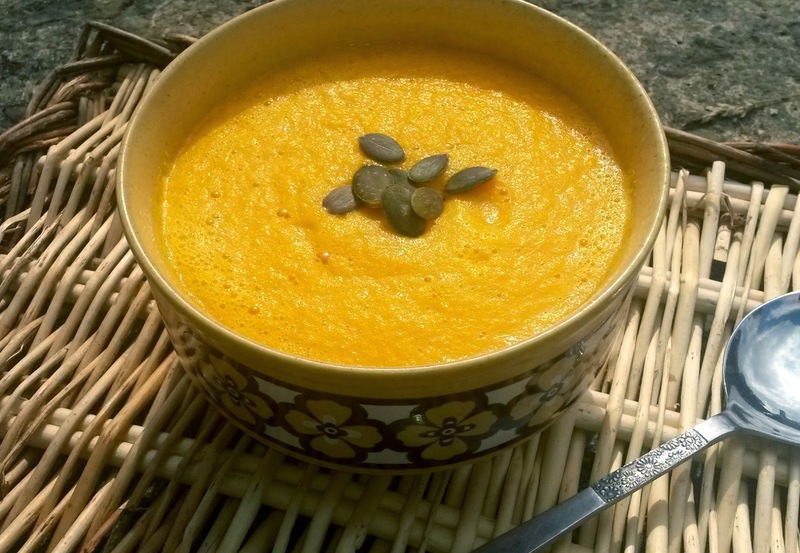 One of my favourite raw soups is this very simple carrot soup. 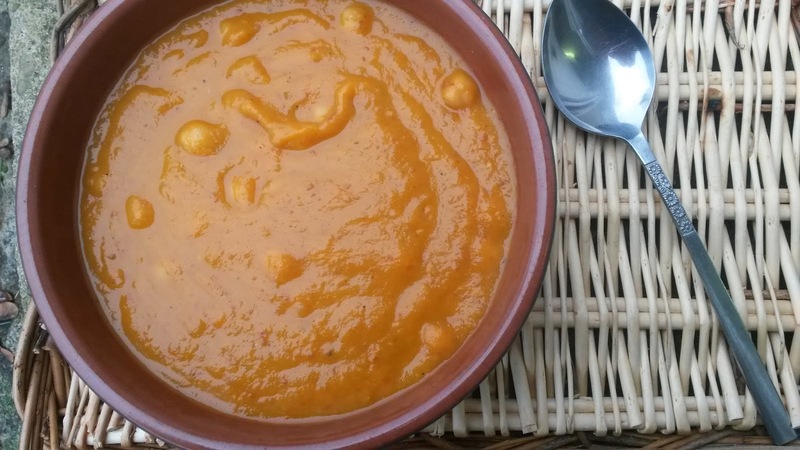 You can do all sorts of things with this carrot soup recipe and while I admit that I am fond of carrot and coriander, or throwing in a little ginger to spice things up, my favourite way to serve it is this. I like to taste the simple sweetness of the carrot in all its glory, with a delicious hint of nutmeg. Blend everything together in a high speed blender. I love my Enpee blender for this job as it heats the soup perfectly and it comes out deliciously creamy. I usually blend it for around 4 minutes, and I like to give it a break half way to check it. If you don't have a high speed blender, after blending you can warm gently on the hob. When I was a little girl, we were super lucky that my Grandparents owned a flat in Spain on the Costa del Sol. We used to go there most Summers and spent our days swimming, sunbathing and enjoying the local food. It's also where my love (obsession?) with cats started, as I took it upon myself to look after all the strays that lived there, and there were so so many of them! Going back to the food, one of the highlights for me had to be ice lolly time. We used to get these watermelon ice lollies that were out of this world- seriously nothing compared to them back in England- my brother and I loved them. They were creamy, sweet and delicious, but the best part was that they were made to look like a slice of watermelon, complete with little chocolate pips and a green rind! I've never seen these anywhere other than Spain, but I always remembered them. 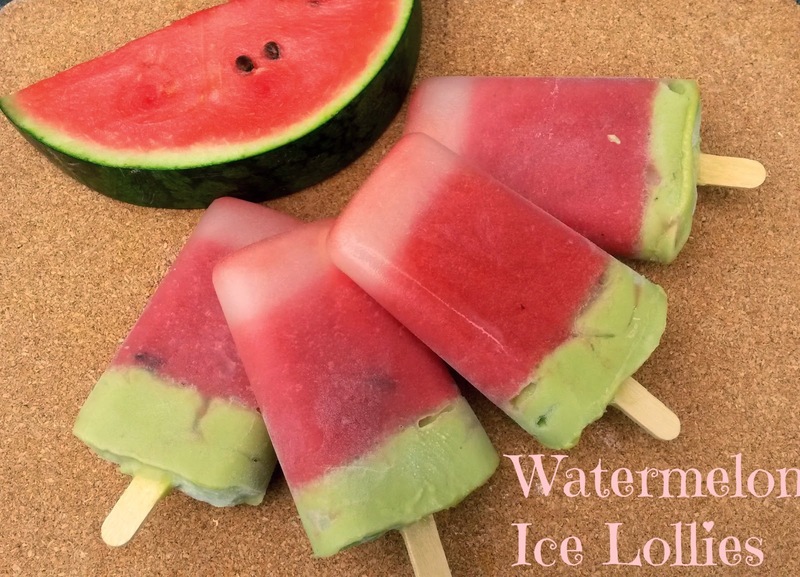 So this weeks project was to replicate something similar, but healthier, so my girls could enjoy watermelon ice lollies in the glorious sunshine too. And this is what I came up with. The 'pips' weren't as visible as I had wanted, but I'm going to give it a try again and see how I can improve on it. The main thing is that they tasted divine. I love the contrast between the icy pink part and the creamy-smooth green part. The combination of textures and the zingy lime actually reminded me of those twister lollies you can buy, which I also happened to love as a kid! Cut the watermelon flesh away from the rind and blend it up with the strawberries until smooth. Pour into Ice lolly moulds to 3/4 of the way to the top. Sprinkle a couple of cacao nibs into each one and shake to distribute (you could gently push them to the sides to help them show up a little more). Next add little wooden lolly sticks into the middle of each one and freeze for an hour. While they are in the freezer you can prepare the green part. Scoop out the creamy avocado and pop into a food processor with the juice of a lime, the stevia and coconut nectar. Process until smooth. Remove the ice lollies from the freezer, top with the avocado mixture and put back into the freezer for a few hours until set. Rose and Barley grass Bliss smoothie! If bliss were in a glass, this smoothie would be it. I have no clue why it never occurred to me to try rose in a smoothie before, especially as we enjoy so many of them in our house! I brought some beautiful rosewater to make some tasty chocolates with this week. Before my healthy eating ways, I was a sucker for some Fry's Turkish Delight! The love for that combination of rose and chocolate never really went away and I was determined to try and satisfy it. They're a work in progress that I really hope to share with you soon, but the whole process got me thinking what else I could do with rose water. As a result, I discovered not one, but two amazing recipes this week. 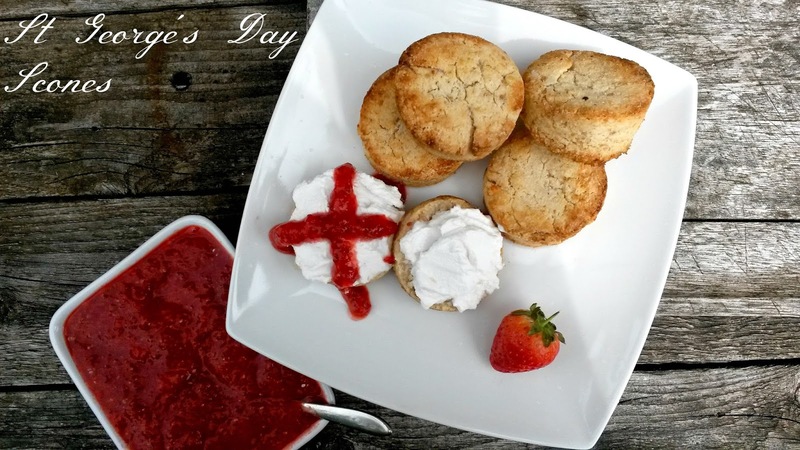 The first was a take on a traditional Tudor almond milk recipe, with a hint of rose water. Yup, you heard it right! Almond milk isn't a new thing, its been around for 500 years as a tasty and clever way for those Tudor's (who could afford it) to get around the dairy ban at lent. The addition of rosewater makes it really something special. I made up my standard almond milk recipe and added a teaspoon of the rosewater to it. 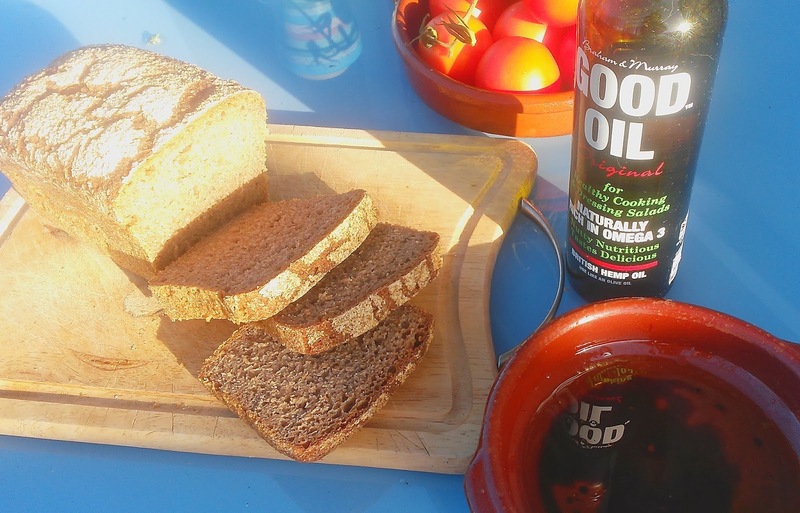 This gave a delicate flavour that wasn't at all overpowering, you've really got to try it! 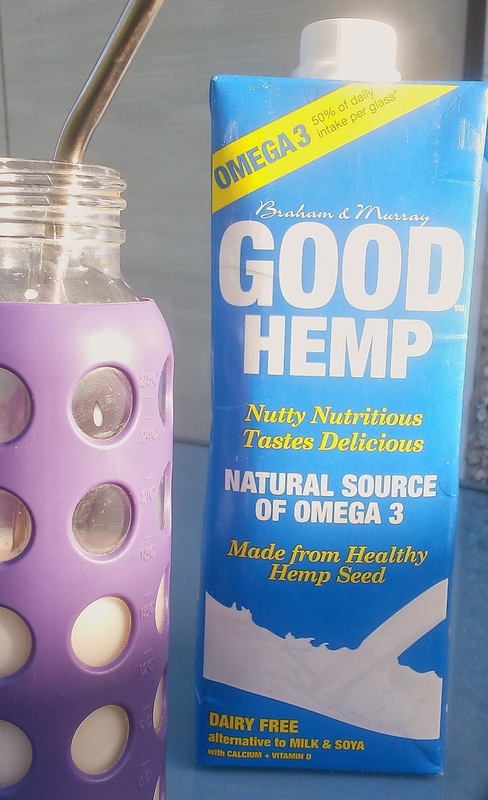 The second was this smoothie, and it totally blew me away! It's not often that you get such a new and interesting flavour combination in a smoothie, so I was really surprised by this, I've actually enjoyed it for breakfast the past 3 days! It will amaze you how much green stuff is packed into it too, as all you'll notice is the delicate and floral flavour of the rose and sweet berries. 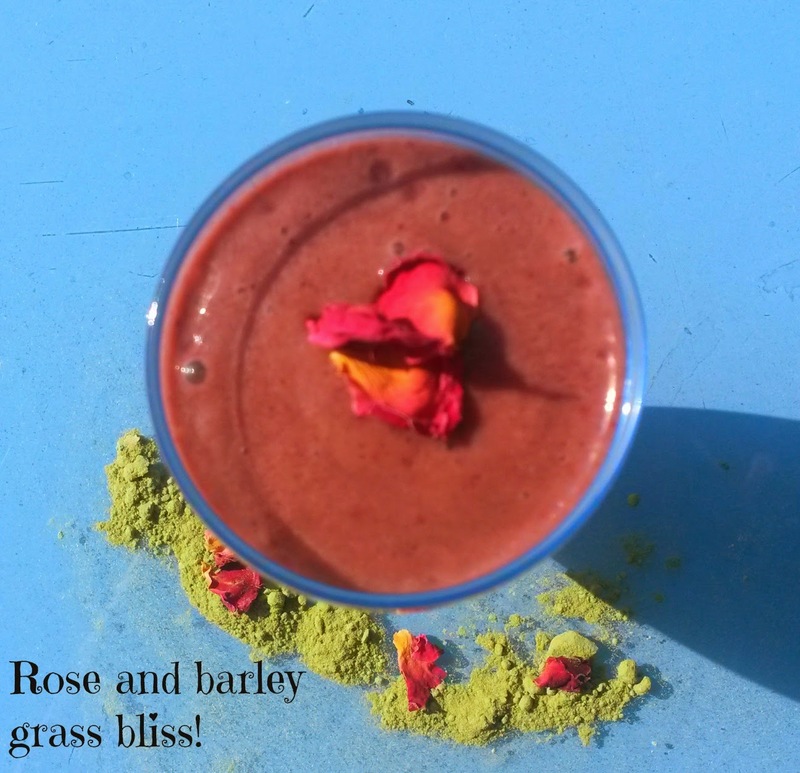 Rose and Barley grass Bliss! Blitz everything together until smooth and creamy in a high speed blender. We love our Enpee blender as an affordable alternative to Vitamix or Blendtec, but with just as much power and great results! 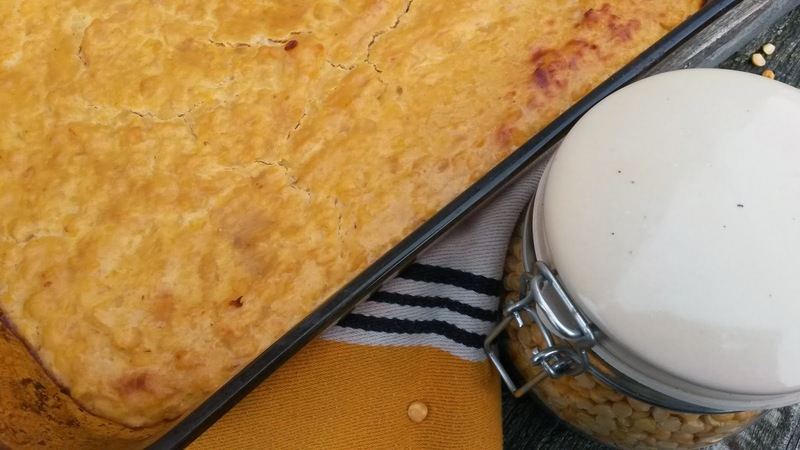 I am SO excited to share this recipe with you. I absolutely used to adore Cadbury's cream eggs growing up. I was always so excited to see them on the shelves at Easter- it's hard to believe that I haven't eaten one in 5 years! 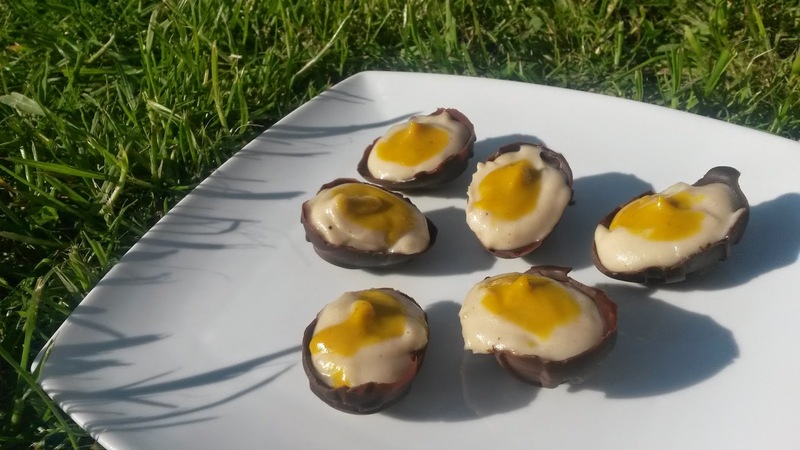 Over the past couple of Easters I've made a few attempts at recreating them to be refined sugar free and I've come pretty close, but never good enough to share. But that is about to change! When I made my first attempt at these I used agave. I wanted a sweetener without a strong taste and with a neutral colour to replicate that cream egg filling. We hardly ever use agave, but as it was a one off indulgent recipe I decided to just go for it. I have since made them with pale coconut nectar which is a preferred sweetener of mine, but it is hard to find in stores. Brown rice syrup also works for a very subtle sweet flavour and is much gentler on your system than agave. You can use whichever you feel comfortable with, they all work well. The nuts have also been a huge part of the experiment. Macadamia nuts give a really creamy, pale finish and a neutral taste which works well. Texture wise, soaked cashew nuts worked better, much smoother and similar to fondant, but I could still taste that cashew flavour so I went with macadamia. I conclude that both nuts are acceptable choices! Which ever you use, I'm sure you won't be disappointed. So after all the fun and experimenting, this week I finally cracked it- and this version is absolutely perfect. They're creamy, sweet and very gooey. In fact the texture is so much like the original I could almost believe I'm eating a Cadbury's egg! Even though these are super sweet, they're not as sickly as the originals, which is a great thing! Having eaten free from refined sugars for so long I am quite sure I couldn't eat the original now anyway. I hope you love these. Happy Easter! Add the egg white ingredients to a high speed blender and blend until smooth and creamy. Pour into a bowl. Remove 2 tablespoons of this mixture and mix with the turmeric and extra sweetner to make the yolk. Break up the raw chocolate and add to a bowl. Stand the bowl in a larger bowl of hot water and stir until melted. Take a mini Easter egg mould and with a teaspoon, spoon a little of the melted chocolate into each mould. Use the back of the teaspoon to coat a nice layer all around the mould. Pop into the freezer for 5 mins to firm up. Repeat, 'painting' another layer of chocolate to make a thicker shell for your filling. Freeze again for 5 minutes. Carefully turn out the moulds onto a plate and fill almost to the top with the egg white mixture. Next dollop a small amount of the yolk mixture into the centre of each egg and gently push it into the cream to create the yolk. That's it! They're ready. You could also put the two halves together to create whole eggs but the filling is very gooey and a bit messy so I left them as half eggs. *I have since discovered that using a mixture of half cashew and half macadamia is the absolute perfect combo! I'm SO busy right now with my book campaign that blogging, recipe tasting, everything really has been put on the back burner. We're doing so well but are a ways off completing our goal to get mine and my talented Sister in laws magical healthy children's cookbook to print! It will happen I'm sure of it because of the wonderful people out there like you supporting our campaign, but it has meant our family meals have got simpler and simpler over the past couple of weeks! Making time to create a good gravy is just one of the areas that has suffered. Ok, so I know it is easy to make a really good plant based gravy, but it takes a little time. Sauteing onions and mushrooms gives depth to the gravy and adding a splash of wine can really richen it up but it's not super quick. When I'm making a midweek dinner, I often don't have that extra time, what I'm looking for is a magic little mix that you can whip up quickly and easily! That leads us on to buying ready made gravy mixes. But...Have you ever checked the ingredients on those packets? They've got refined sugars, they've got colourings, flavour enhancers, gluten, all sorts of stuff you don't necessarily want in your dinner. So what is the answer? Home made gravy mix! My frustration at the poor quality of gravy mixes led me to mix up my own gravy powder that I now keep stored in the cupboard ready for emergencies. I admit that this isn't as rich as a beautiful homemade veggie onion gravy, of course not, but it sure makes my life easier when I'm rushed for time and definitely passed the family taste test! Makes enough for 4 batches, each batch serves 4 comfortably! Blitz everything togther in a spice or coffee grinder or mini atatchment on a food processor to ensure everything is uniform size and evenly distributed through the mix. You can also add dried herbs to this gravy if you prefer a herby flavour. Pease pottage hot, pease pottage cold! Hey guys! Ever heard the pease pottage nursery rhyme? Pease pottage in a pot, nine days old"
We used to sing that alot as kids. I've always loved this split pea dish, it was one of my favourite dinner ac compliments and my Nan used to make it for me special. It's traditionally served as a side dish to boiled ham and cabbage but I really thought it deserved to be a dish in its own right, I wanted to make it the star of the meal! Even though I follow a plant based diet I do still enjoy a good old Sunday roast and the main part is usually a nut roast or veggie loaf of some kind. But one weekend it dawned on me that pease pottage would taste pretty darn good as the centre piece of a roast! So I boiled up the split peas with some onion, sea salt and water (yup, you heard me right, just four ingredients! ), and then baked it in the oven to firm up so it could be cut into slices. The result was so good that it's been the centre of our family roast dinners ever since! I hope you enjoy it as much as we do. Drain the soaked split peas and add to a large sauce pan. Add the chopped onion and pour over the water to cover about 2 cm over the top. Bring to the boil, then reduce to a high simmer. You'll notice foamy stuff apearing on the top, this can be removed with a spoon. You want to cook this mixture down until it is like a thick puree, it needs watching and topping up with water when necesarry. It usually takes me about and hour and a half to reach desired consistancy, then add the salt. 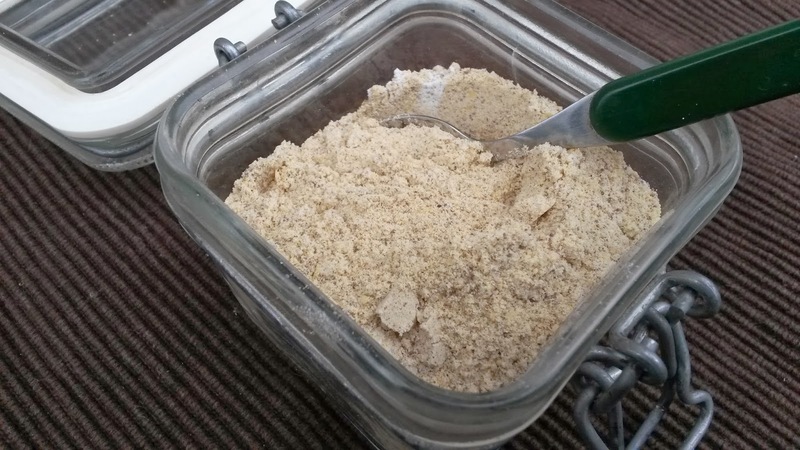 At this stage it can be poured into a bowl and used as a spread on toast and crackers or as a sandwich filling when cold, it can be used just like a hummous would. As this was the main attraction for our roast dinner I wanted to set the mix. So i poured it into a large pyrex roasting dish and baked it uncovered at 170 degress for about 35 ins. Then i turned off the heat and left it to go cool in the oven. This produces a delicious sliceable pease pottage that is a great alternative to a nut roast any day! What I ate Wednesday- Raw banana ice cream & how to eat a rainbow! Wow. It's been waaay longer than I realised since I last wrote a blog post. Sorry guys and thanks for sticking with me! Most of my creative energy has been taken up with an amazing book campaign my talented Sister in Law and I are running. She is a most fabulous artist and we've joined forces to bring you all a healthy children's recipe book! This one is really special, it's illustrated with tons of fairies and magical beings, just like a picture book and comes complete with a fairy food certificate for your little ones to fill in! Our recipes contain no refined sugars, are free from gluten and dairy and packed with tons of fresh fruits and veggies. It's called 'How to Eat a Rainbow'. We are running the campaign on indiegogo and our book can be pre ordered there too. We really hope to reach our target of $8000 so we can make it a reality- we are soooo excited! You can check out our campaign video and pre order here on indiegogo. For lunch I had a big old spinach salad with chickpeas and roasted veg. Roasted veg is just so easy to throw in the oven and forget about for a while. The girls weren't crazy about this as it had Jerusalem artichokes in it which really aren't their favourite, but you can't win them all! At dinner time I was lucky enough to be invited to dinner with my good friend so I didn't have to cook. It was so lovely to have some time out and catch up and she made the most delicious mixed bean chili, totally yummy. So yummy I did not photograph it, sorry! For snack time it was apple power and a cup of rooibos chai tea with almond milk. Really love this tea, it is so tasty and nice to have a caffeine free option. Which caffeine free teas are your favourite? I''m sorry I've been away a while but I promise to be better! Thanks for reading, can't wait to see what you've all been enjoying!